Making our patients feel at ease is one of Caity’s top priorities. Her warm smile and bubbly personality help to make each patient’s time in our office an enjoyable and comfortable experience. With her gentle touch, she makes each hygiene appointment a positive visit. She expresses her enthusiasm and eagerness for hygiene and dentistry with each of her patients. These qualities help her and her patients work together to obtain optimal oral health. Full of energy and youthfulness, Caity educates her patients with beneficial tips on home hygiene care to aid in maintaining a beautiful and healthy smile between each hygiene appointment. Caity is married to a high school teacher and is an animal lover. She has two horses, two cats, two dogs, and two goats. Her favorite hobbies are horseback riding, camping, and deer hunting with her husband. Caity’s family owns a large ranch in Lake County, so she is fortunate to have most of her family nearby. Rosie is great about communicating with our patients, starting with their initial visit to our office. She helps them feel comfortable and encourages them to talk about their dental dreams and about their lives. In each exchange, she learns from the person, and figures out how best to help them achieve their oral health goals. Much of Rosie’s workday is spent educating her patients about healthy dental care habits, which lead to great oral health and a healthier body. 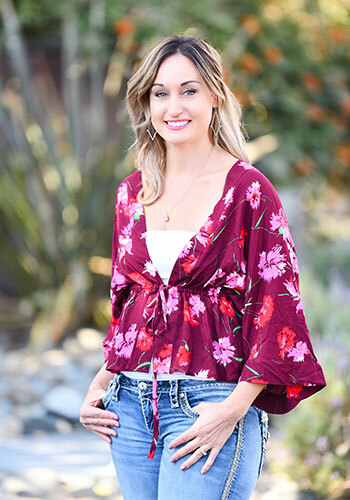 Rosie is the proud mother of two children and has been married to a wonderful husband for a decade. She enjoys being involved with her children’s education and sports. Life is busy, but she wouldn’t have it any other way! When Rosie takes a break from work and kids, she likes playing golf and going wine tasting with her husband. They also love the outdoors and camp every summer. 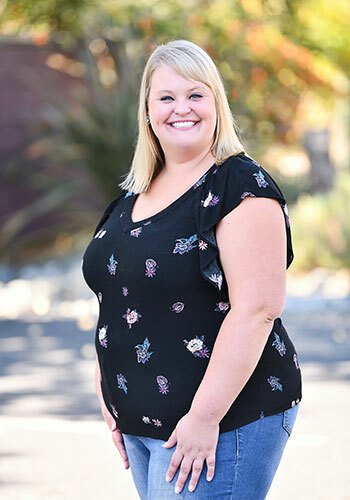 Rachael joined our team in 2017 after completing her associate’s degree in dental assisting. She works alongside both doctors to set up patient rooms and take impressions and X-rays. Though she is new to our office, she feels fortunate to learn from a team that is patient, professional, and compassionate. Rachael is a mother to her a teenaged daughter named Ellie and has a dog known as Kei. Rachael loves the ocean, swimming, hiking, and anything outdoors. She also enjoys reggae and country music! Sharisse began her dental career right out of high school in 1997. She took some time off to raise her family and is happy to be back! She can be found at our front desk, where she greets patients, schedules appointments, and processes insurance and billing. The interactions she has with patients are her favorite part of her job. Sharisse also enjoys working with our wonderful team in such a warm and loving environment. A Lake County native, Sharisse has been married to her husband for two decades and has three kids. Her only hobby is watching her children play sports! As one of our dental assistants, Jessica works hard to create a positive environment where patients rave about our hospitality. She can be found assisting both doctors, sterilizing equipment, and tending to patient comfort. 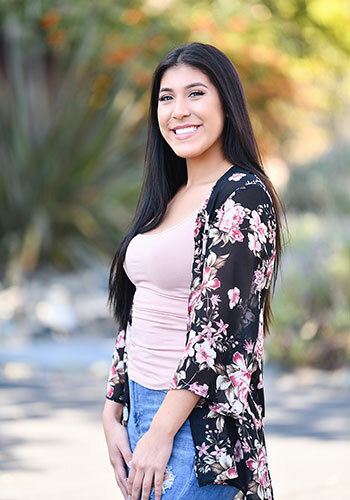 Jessica has always wanted to become a dental hygienist and is one step closer to achieving her goal. 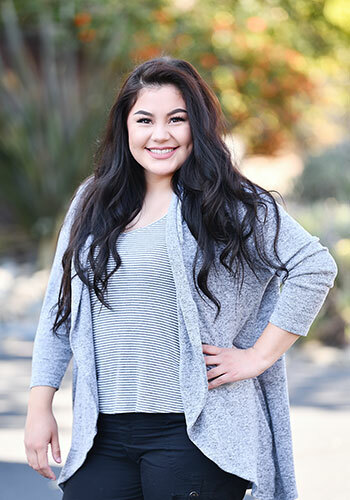 In December 2018, she will graduate with her associate’s in health services from Mendocino College. In her free time, Jessica enjoys bowling, reading, hiking, working out, and spending time with her family. Having joined our office in 2017, Xenya brings compassion and a great attitude. Working alongside Dr. Henry Long in patient care, she assists during procedures and ensures our patients’ comfort. She enjoys spending time with people and getting to know them on a personal level. Her favorite part of our office is that there’s never a dull moment—we’re always having fun! When she’s not at work, Xenya likes to spend time with her family and dog, Precious. She also enjoys being with her friends, playing soccer, bowling, and eating good food. Chelsey has worked for her father, Dr. Keith Long, since 2006. She started hygiene school in 2014 and is now one of our dental hygienists. Chelsey works with the doctors to meet the oral health needs of her patients. She provides education regarding oral homecare and the best ways to achieve optimal health. 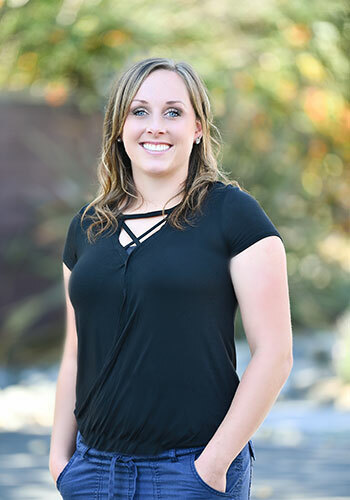 Chelsey enjoys interacting with her patients and developing a trusting relationship with them, all while learning about their interests, family, and social lives. Chelsey and her hardworking husband Derek have a beautiful daughter Addison and an Olde English Bulldogge named Pegasus. They love watching Addison play sports, socializing with friends, and spending quality time together as a family. Katie finds so much joy assisting with patient care and making patients feel as comfortable and happy as possible. Her passion is seeing patients’ improved confidence and overall health. 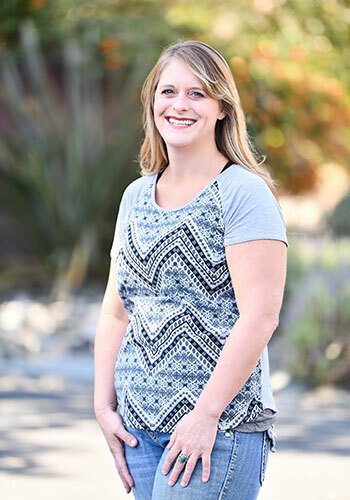 Katie joined our office in 2016, and brought with her advanced education in aesthetic CEREC® dentistry, anesthesia, and OR-based IV sedation. Her happy, bubbly personality helps patients feel at ease, and her friendly smile helps to make our office feel like family. Katie was recently married in 2017 to her amazing and supportive husband. She enjoys SCUBA diving, camping with her two big dogs, and volunteering at the annual pear festival. Particularly skilled at making our patients feel welcome and comfortable, Lindsay is always there with a warm smile. She is great at setting an anxious patient at ease and helping people learn to relax during their appointment, reassuring them that we only offer painless care. 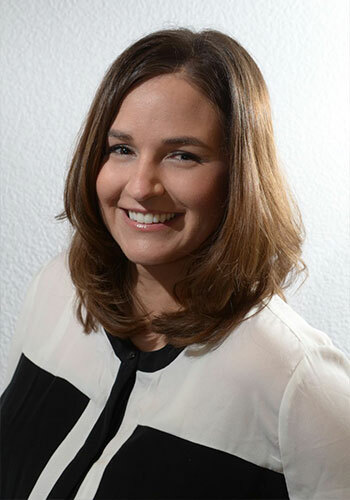 Lindsay works closely with our patients, helping them achieve the smile they’ve always dreamed about. She also spends time with each person to teach them about oral health and its connection to overall wellness. She helps patients learn how to make good nutritional decisions, develop healthy habits, and keep their teeth and gums clean and healthy between hygiene appointments. Lindsay enjoys spending time with friends and family. She’s also an avid reader who likes going camping and is passionate about traveling. Melisa manages the daily operations of the business. This includes direct communication with our patients regarding financial agreements and taking responsibility for the personal care of our patients in relation to nursing needs, if necessary. 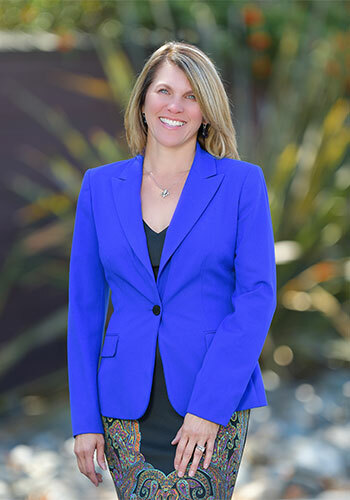 She manages the continuing education and travel for the entire dental team, office accounts, contracts with business partners, insurance companies, partner/vendor agreements, advertising, budgeting, OSHA, payroll, human resources, marketing, and ensuring that our team remains compliant with protecting patients’ rights regarding HIPAA. In addition, she keeps the team safe by enforcing compliance with OSHA standards. Melisa also communicates directly with patients to ensure they have a pleasant and successful office visit. 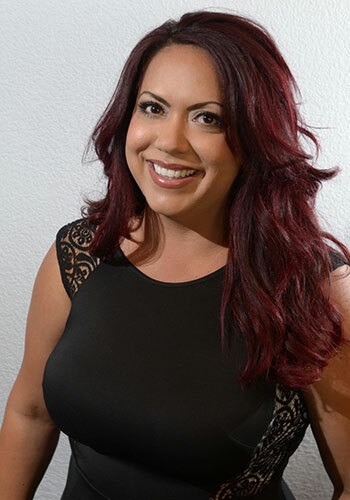 Melisa’s hobbies revolve around her family here in California and in Louisiana. She has a very full life traveling with her husband to all his dental conferences and keeping up with their children and grandchildren. Her sons Jye and Sam are attending college, and she has the pleasure of working with her daughter Chelsey every day. Melisa enjoys attending mass on Sundays and attending retreats. The interactions that Sabrina has with those we care for are, she says, the best part of her work. She believes we truly do care for some of the most amazing people. The experience of getting to know them and their families and developing nurturing relationships makes her look forward to coming to the office in the morning. As our office’s clinical coordinator, Sabrina keeps everything moving smoothly, to ensure the best experience for our patients. She believes that getting the treatment you need when you need it, is essential, and she’ll do everything she can to make that happen. Outside the practice, Sabrina keeps busy with her daughters, Ashlynn and Jordann, and their extracurricular school activities. The family, including her husband Byron, enjoys time together, especially if they’re camping or riding dirt bikes. Emma excels at helping patients relax and enjoy their time here. She’s very good at making sure a patient is comfortable in the treatment chair and is always by their side during a procedure. She ensures that they understand how well the procedure is progressing. Emma says that helping people achieve and maintain a healthy, beautiful smile, especially people who’ve had dental issues in the past, is very fulfilling. Providing chairside assistance to Dr. Keith Long as he helps the patient, but always focused on the patient’s needs, Emma is great at helping them know that they are in excellent hands. Away from work, Emma most enjoys spending quality time with her husband Martin, her son Diego, and her daughter Hilliana. She also likes shopping excursions, barbecuing, and traveling. By the way, she’s a superstar when it comes to karaoke! 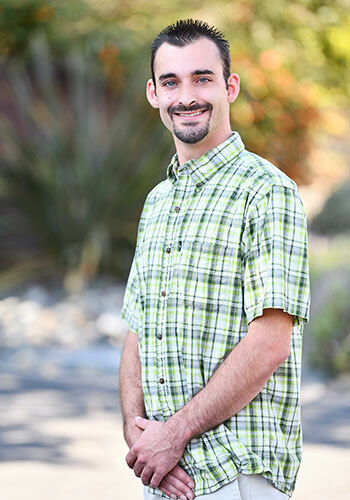 Stephen joined our team in 2017 with certifications in dental X-ray, infection control, sterilization, and basic life support. He ensures the health and safety of our patients and staff by cleaning dental instruments, sterilizing rooms, and setting up rooms so patients can be seen in a timely manner. The greatest part of his job is seeing our patients leave happy and smiling. Stephen is a former Marine, a loving father, devoted husband, and a hard worker who pays attention to detail both at work and at home. His spare time is spent with his family: his son Aiden and wife Shawna. His family is the most important thing in his life. Quick to smile and laugh, and always there for our patients, Miranda loved getting to know each person we cared for and encouraged them to open up and talk. While she is no longer with us, Miranda’s kind smile and compassionate nature will be our inspiration always.